Richard Kingham is a senior counsel at Covington & Burling LLP, where he serves as co-head of the life sciences industry group. He previously served as the managing partner of the firm’s London office and as a member of the firm-wide management committee. 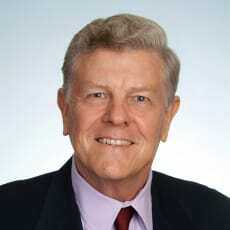 Since joining the firm in 1973, he has concentrated on regulation of pharmaceuticals and related products. He has acted for most of the major pharmaceutical and biotechnology companies in the United States and Europe, as well as the principal trade associations of the pharmaceutical industry. He has served on committees of the World Health Organization, the Center for Global Development, the Institute of Medicine of the US National Academy of Sciences and the National Institutes of Health. He is currently an adjunct professor at the Georgetown University Law Center, and has lectured at the University of Virginia School of Law and the graduate programme in pharmaceutical medicine at Cardiff University. He received his law degree in 1973 from the University of Virginia, where he served as articles editor of the law review and was elected to the Order of the Coif (the law school honour society).